I am a sucker for small things, especially if they are beauty related. What woman isn't, right? 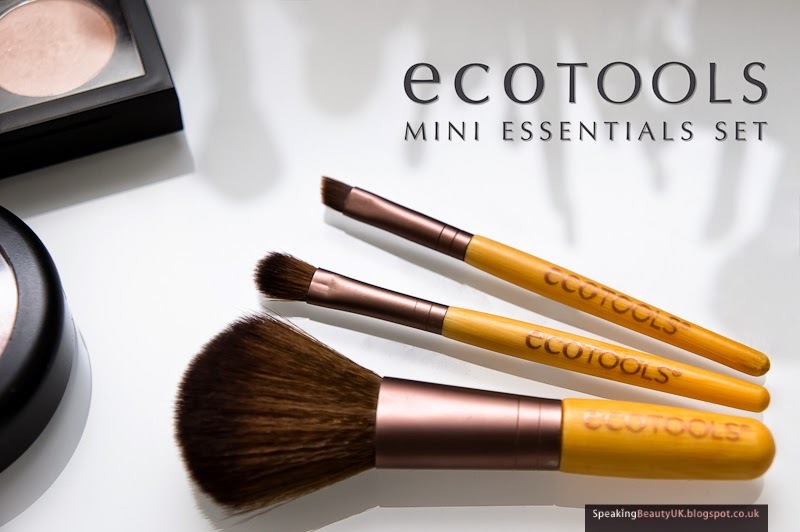 Last week I spotted this adorable EcoTools Mini Essentials Brush Set in Boots and I couldn't resist it. I was very tempted by the Real Techniques Mini Brush Set when it was released but I didn't buy it at the time because I thought the brushes were way too small and I didn't like that it had that foundation brush, which would have no use for me. This EcoTools set is so much better in my opinion. The choice of brushes is nicer and the size is bigger, making them more functional and easier to use. To top it off, they are cheaper, priced at only £5.99. If you have tried anything from EcoTools, then you'll know they make soft and high quality brushes. The set comes with 3 little brushes. One is a face brush, great for powder / mineral powder, blush, bronzer and even to buff liquid foundation. The other 2 are eye brushes; one to pack and blend eyeshadow and an angled brush that is perfect for eyeliner and/or eyebrows. All 3 brushes have sleek bamboo handles and are made of synthetic / cruelty free bristles, which I love. They tend to keep their shape for longer and they are also easier to clean and quicker to dry. 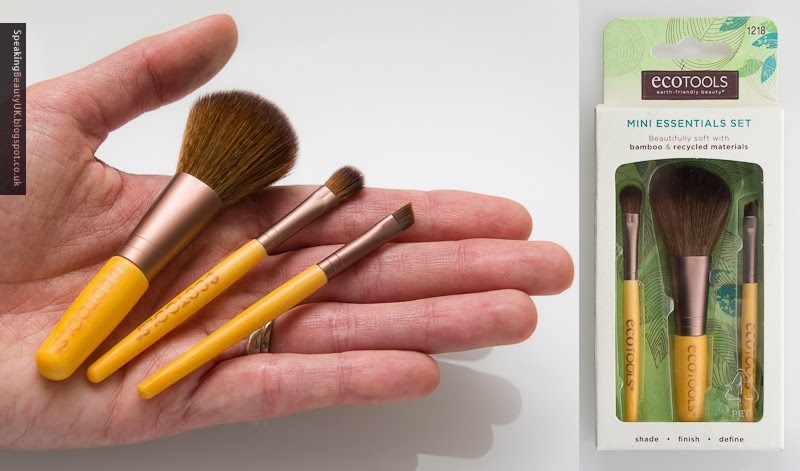 My only complaint is that this set doesn't come with a pouch, like most EcoTools brush sets do. Overall, I think this little set is amazing! It will be perfect for travelling and for keeping in my handbag for touch ups throughout the day. It was a no brainer for me. I just had to get it and I'm really pleased with it. What a cute little set, these look great! Ahh, what a cute set of brushes, I'm a sucker for anything mini! I have never tried Eco Tools, but I may well pick this set up if I see it! It's so adorable! There's no such thing as too many brushes... right? Totally get your introduction, yesterday I was given a mini sample of foundation from Nars and I was over the moon! I bought an Audacious lipstick, btw!